Our trials for 2017 commence with our 12 Dog Novice stake at Wemmergill Grouse Moor. Results and details of the days are below. More pictures of the events are in our Picture Gallery. By kind permission of Mr. M. Stone and Head Keeper Mr Robert Beadle and his team of guns. Our final novice trial of the season took place on the superb Eggleston Fell moor, by kind permission of Mr Michael Stone and his keeping team headed by Mr Robert Beadle who as always, provided us with excellent guns, game and ground. We are very lucky as a Club to have use of some of the best grounds, which we never take for granted. 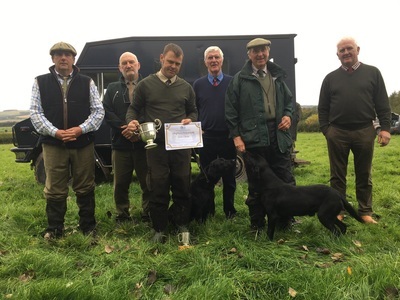 Sincere thanks to our trial judges for giving up their time helping provide a good trial, with varied game and well done all who took part. We'd like to thank those committee members who have supported the trials to help our days go ahead. Also thanks to the non-committee members who have given their assistance. Thanks also to our working event sponsors Skinner's and Gundog Gear for their generosity throughout the year. Final thanks go to Lee Hartis for organising the trials which is no easy task. All the very best of luck to members for the rest of the season and thanks for your continued support. Guns : Mr Mark Cuddigan. ​Sincere thanks to Head Keeper: Mr Hendrick van Boeckl and his team of keepers and beaters. Our historic trial, courtesy of our President The Lord Joicey; took place at Ford and Etal Estate on the 11th October. 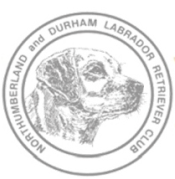 It was unfortunate that we had no 1st, 2nd or 3rd placings with the two dogs left in at the end of the trial, as they had successfully completed 4 retrieves, but unfortunately failed on their 5th. The day was a very good day in a great atmosphere with good advice given from our judges. Well done to everyone who took part and with sincere thanks to the people who came to help out. 24 Dog Open Two Day Trial, Whitfield Estate. 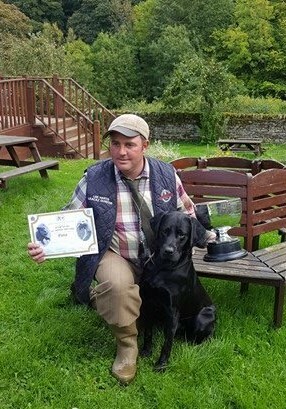 Our Two Day 24 Dog Open Retriever Stake took place on the prestigious Whitfield Estate. Some excellent dog work was seen and at the end of day one; 8 dogs were called forward for day 2. Again the dogs all proved worthy finalists with a very deserving winner. Well done to everyone who took part and with sincere thanks to the people who came to help out over the two days. By kind permission of Mr M. Cannon and Mr R.D. 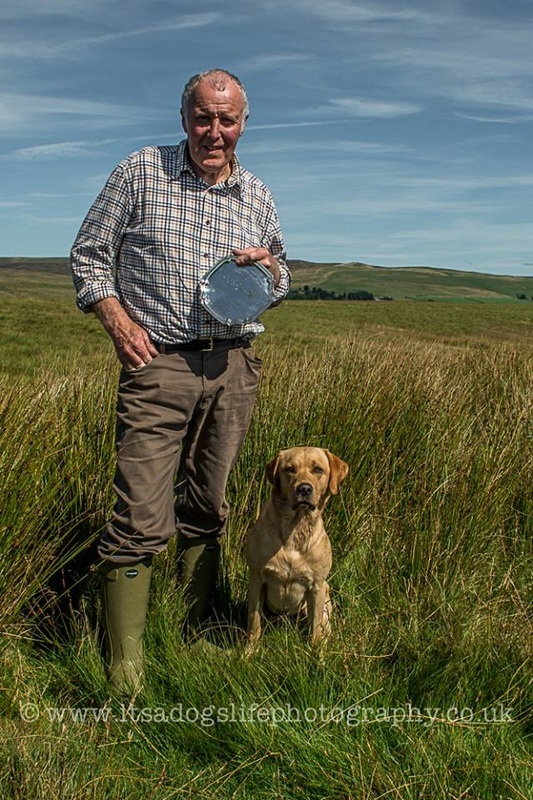 Johnson Wemmergill Estates Ltd.
Our first 12 dog Novice AV Retriever Field Trial of the season took place on the stunning Wemmergill grouse moor in County Durham. Sincere thanks to Mr M. Cannon and Mr R.D. Johnson of Wemmergill Estates for the use of the ground and their continuing support of our working events. Also to Joanne Wilson and the Keeping staff for their exceptional organisation and hospitality. Thank you to our judges J. Halsted, L. Hartis, N. Halsted and A. O'Hare for giving up their time and our team of guns who shot brilliantly. The guns' fees are given to Wemmergill Estates for donation to their chosen charity. Despite the game being plentiful, having an excellent team of guns and wonderful weather, unfortunately there were no placings awarded; but Guns Choice was awarded to Mr Alf Gorman with Pride of Glencoe who was presented with the Dunidea Plate. 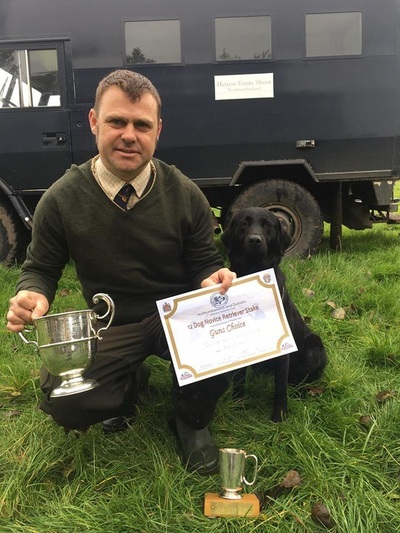 ​Thanks go to our judges who have given up their time to ensure the trials go ahead and to our sponsors Skinners Petfoods and Gundog Gear for their ongoing support for our working events. ​Help from committee and non-committee members to game carry, dog steward etc., is greatly appreciated. Our grateful thanks to the talented photographers who have provided the images for this website.